New Town Toyota offers its customers the complete automotive solution. From new and used vehicles sales, to vehicle servicing and repairs ​and Toyota Parts and Accessories sales, New Town Toyota has the ability to cater for all your automotive needs. Located in East Victoria Park, New Town Toyota was established in 1992 and is today recognised as one of the largest and leading Toyota Dealerships in Australia. New Town Toyota holds the prestigious title of being the largest Toyota Parts dealer in Australia and is regularly recognised in the Top 20 Dealers nationally for vehicle sales. 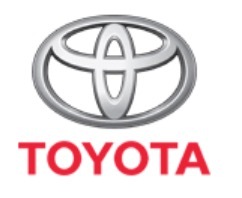 Employing over 150 staff, New Town Toyota is owned by Joe Zito, who with over 40 years experience in the motor industry, is recognised as an innovator and leader in his field. Joe’s passion for the industry sees him heavily involved in the day to day running of the business and he can often be seen on the showroom floor greeting customers and offering that personal touch. New Town Toyota’s unwavering commitment to providing quality products and services, and excellent customer service has contributed to its immense success over the last 20 years. 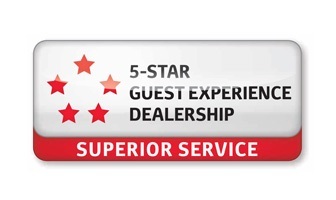 New Town Toyota is completely commited to delivering the very best Customer Service - every time, that is why they have been crowned the number one Toyota Dealer in the State for Customer Service. Since 1993, New Town Toyota has been ISO 9001:2008 Quality Assurance certified. We have set benchmarks in the motor industry through the development of a stringent Business Management System which encompasses best business practices, including Continuous Improvement principles (Kaizen). Trade with integrity & supply our Clients with the complete automotive solution. Supply superior quality products and services. Strive to exceed our Client’s service expectations. Develop and maintain a workforce that share the commitment to the goals of the Group & experiences a high level of job satisfaction. Foster the principle of Kazien (Continuous Improvement). Contribute to the health of the community by continuously building a culture of philanthropy and by giving back to the local community. Consistently providing products and services that exceed our clients quality expectations. Creating working relationships for life with our Clients and Suppliers. Putting a Sparkle into every experience. Our client’s experience is the ultimate measure of what we do… Excel! We recognise our responsibility to give back to the community and we are committed to supporting those people and businesses that support us. We provide sponsorship and donations to various sporting clubs, community groups and not for profit organisations. and we also regularly participate in initiatives to support charities and encourage involvement from our employees.